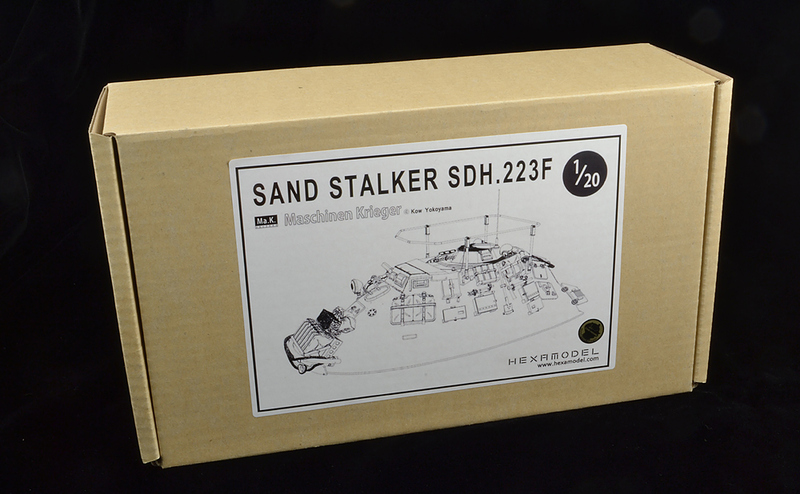 Hexamodel’s Sand Stalker SDH. 223F is an original design based on their prior release of the 222F SandStalker. It follows the same functional design aesthetic as the German Sd. Kfz. 223 armed reconnaissance car from WWII. It has a smaller turret armed only with a MG34 and features a collapsible frame antenna. This isn’t just a copy of their 222 kit. 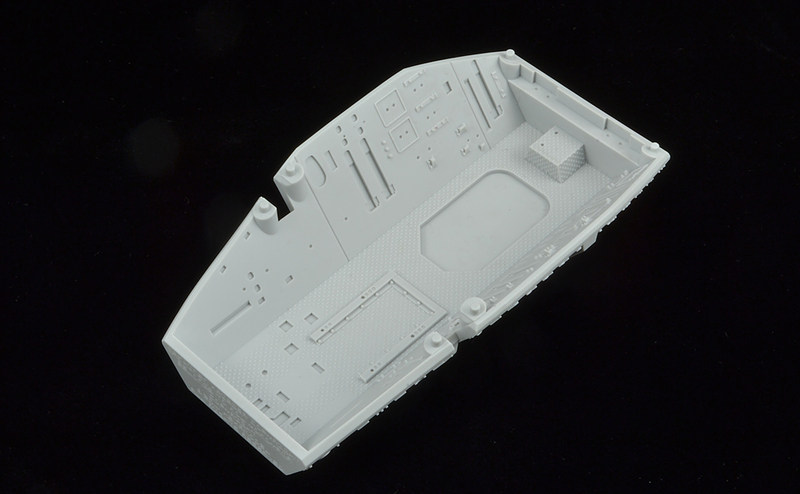 Hexamodel has improved and added additional details which greatly add to the kit. 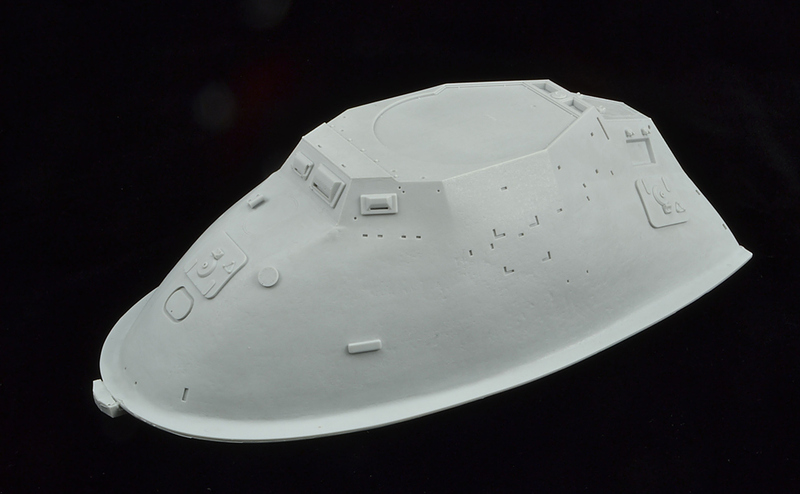 The main hull has been updated. 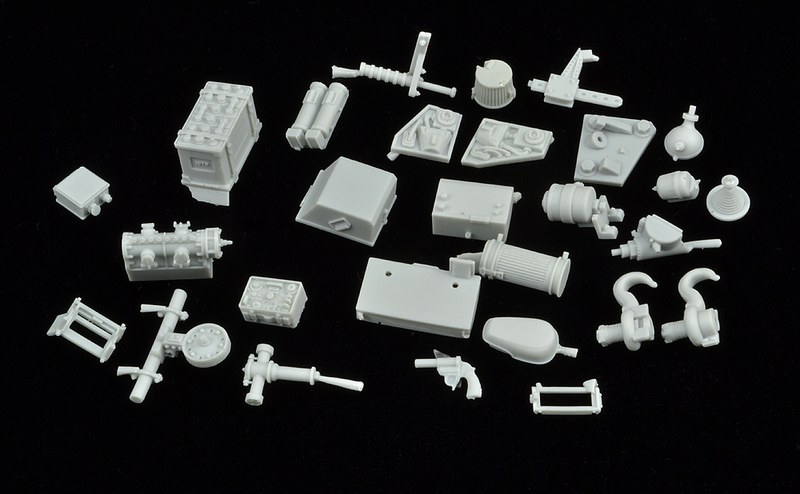 Some small details which were previously molded in are now separate parts with better detail. The first thing I noticed when I opened the box was how well packed everything was. There are 320+ finely cast resin pieces, four different sizes of vinyl tube, four sizes of brass wire, three sizes or brass tube, two small sheets of photo etch brass and four small turned brass bolts. 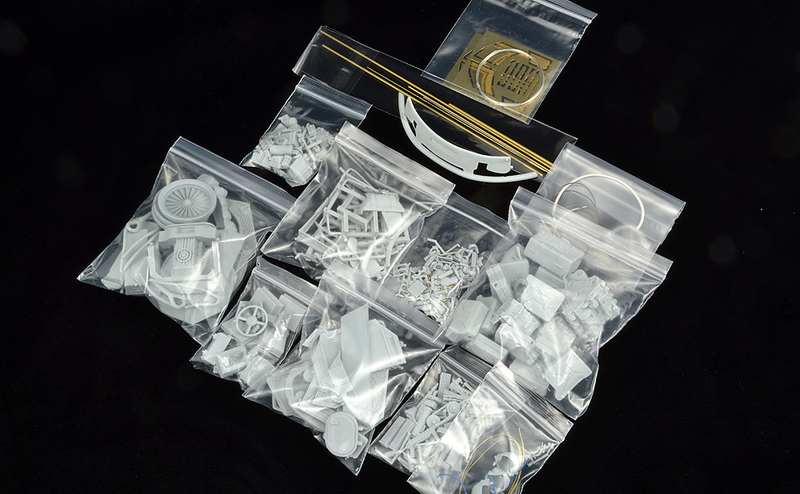 The small resin bits are grouped in similar sizes and bagged, then heat sealed in bubble wrap. The vinyl and brass are in sealed clear sleeves or bags. The PE is bagged and everything was neatly packed and cushioned by small packing peanuts. 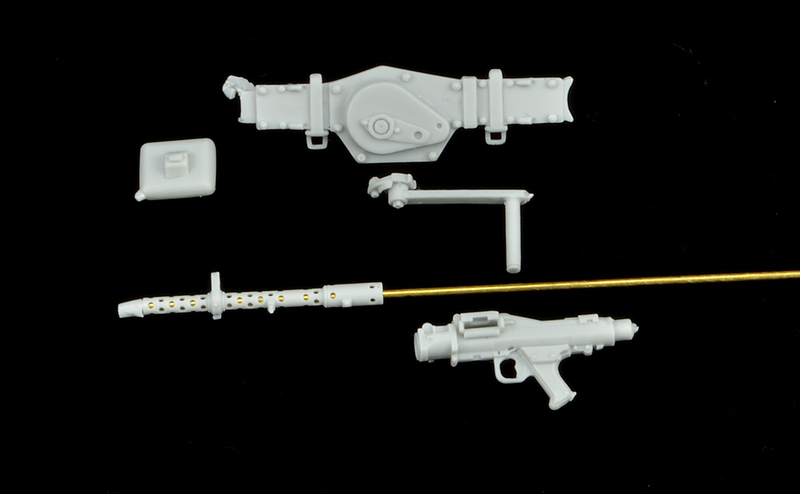 The light gray resin parts are all pressure cast and hardly any air bubbles are present. 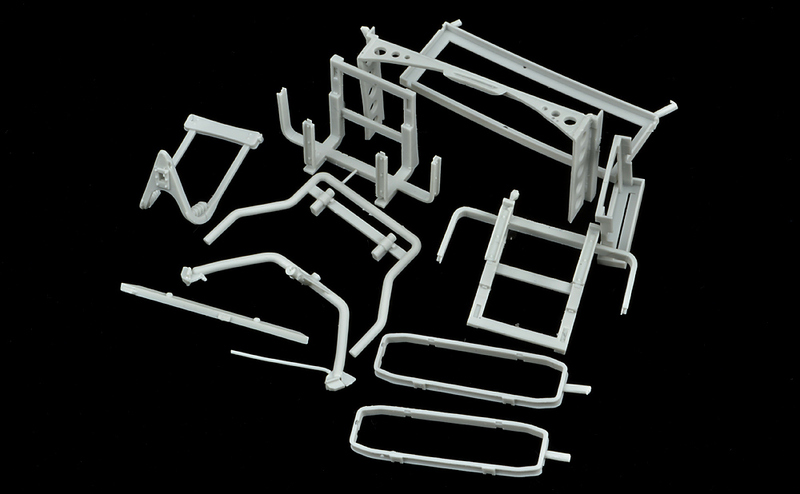 The part size ranges from the large one piece hull and bottom plate, to the detailed MP40 and delicate cast open screen. 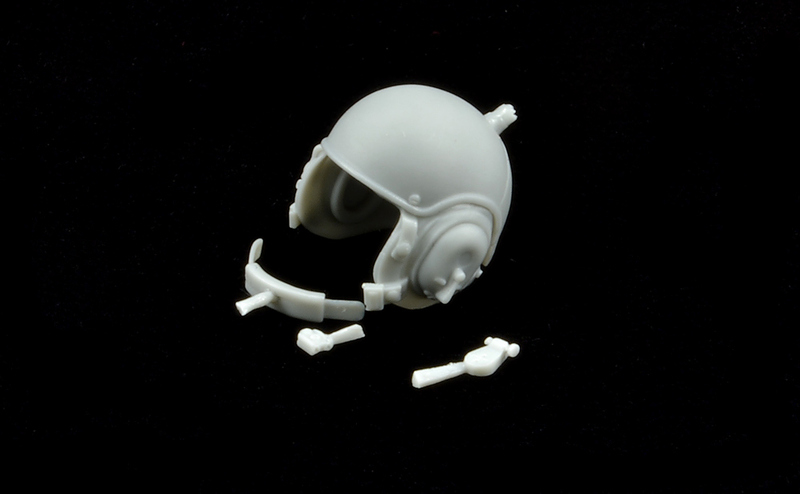 The smallest parts have to be the pieces for the helmet microphones. 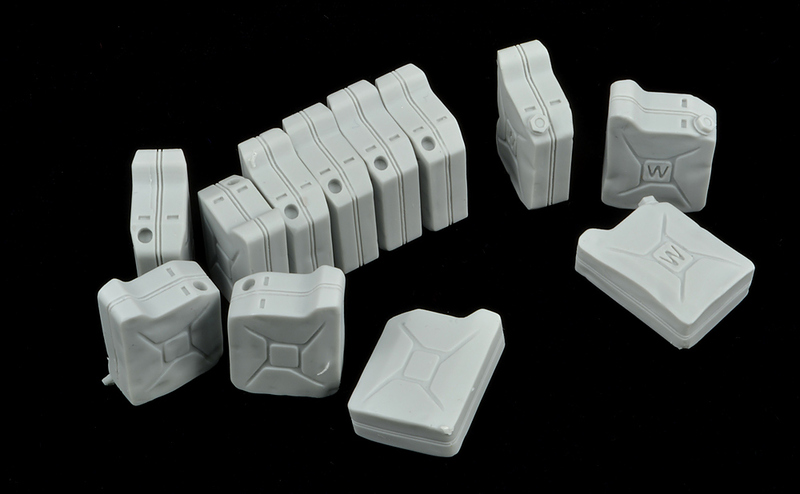 And everything is so well engineered - the stick grenades snap into the brackets just like the real thing. 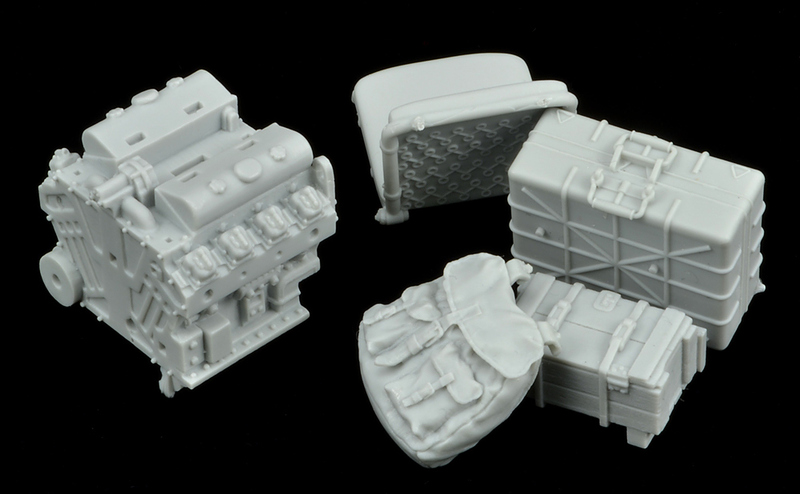 Some of the larger parts are cast with a thin sacrificial section to act as reinforcement to make casting easier and less prone to warping. These are thin and should be easy to remove. This kit comes with a full interior now. The previous 222F only had a basic center section. 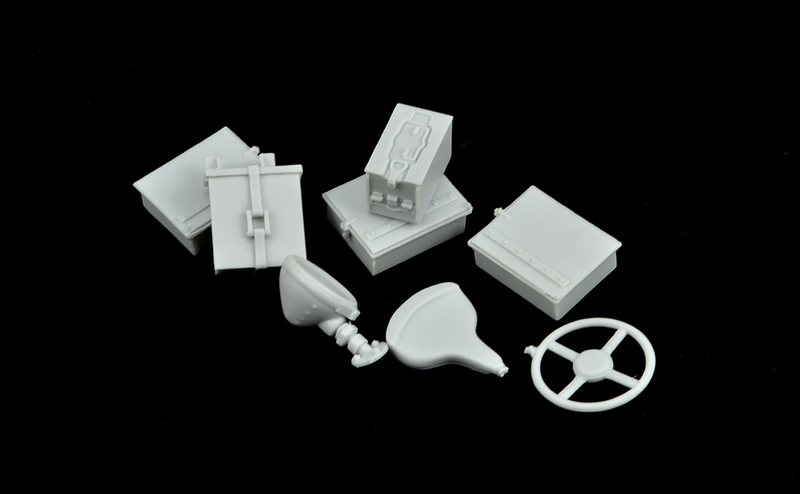 This kit now includes a fully detailed fighting compartment, driver’s station, gun mount, and complete engine area with toothed fan belts. 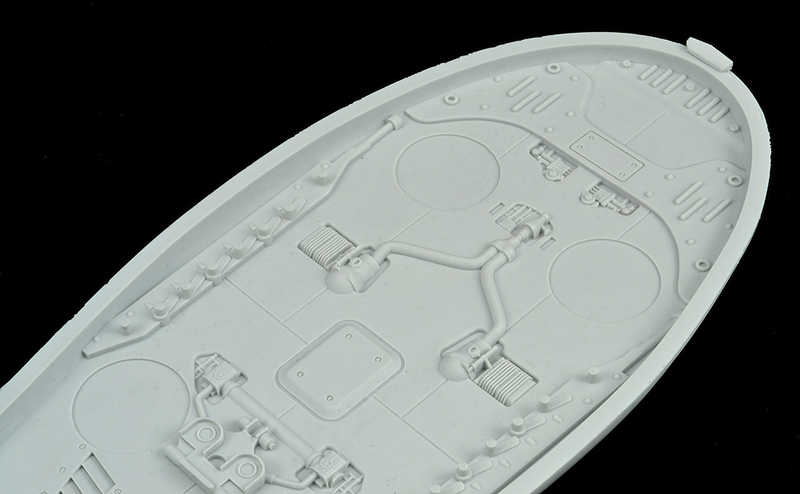 The hull is modeled from a scan of Kow’s original 1/35 222F Sand Stalker so the outline is very accurate. 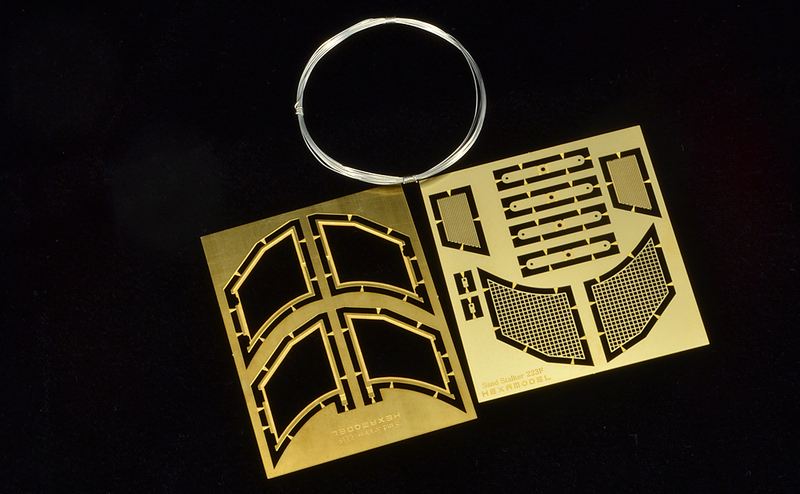 Hexamodel then used this geometry to design all the parts in 3D for high res output of the part masters. The tow rope has nice wound steel cable texture and the stowage box has very nice wood grain. The tarps have very realistic folds and straps. 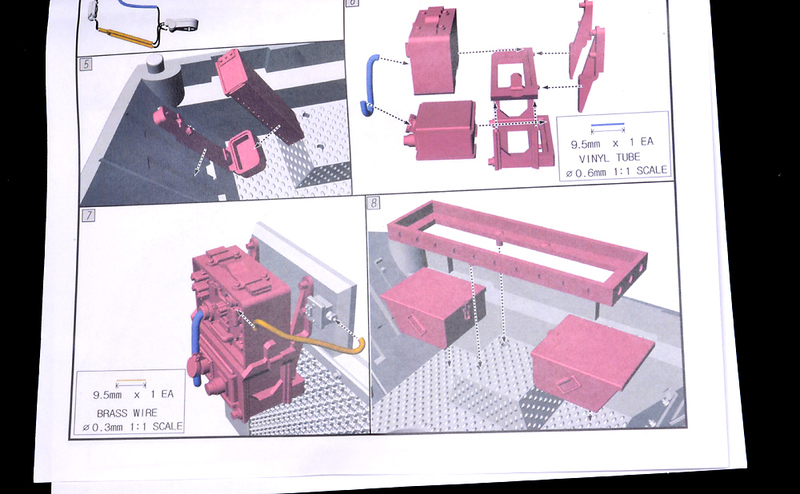 Since everything was designed in 3D, most to the parts have built in locating or alignment features for ease of assembly. 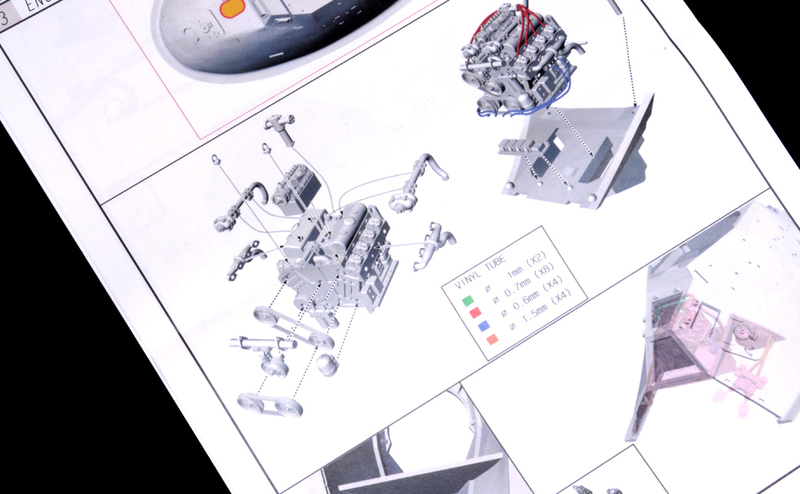 The fifteen page instructions are very well laid out with step by step assembly views with color coding for holes to drill and wires to cut. 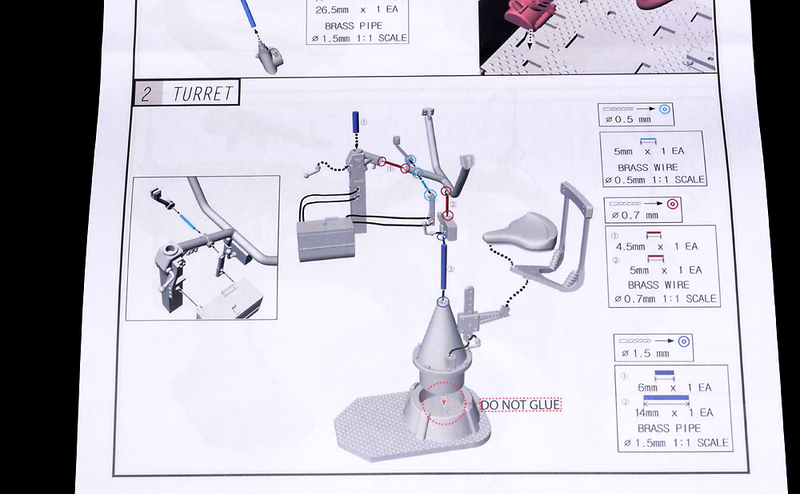 There is also a four page parts guide with a scale template for the frame antenna. All hinges are designed to be functional, hatches, covers open close and the frame antenna can raise or fold for display. 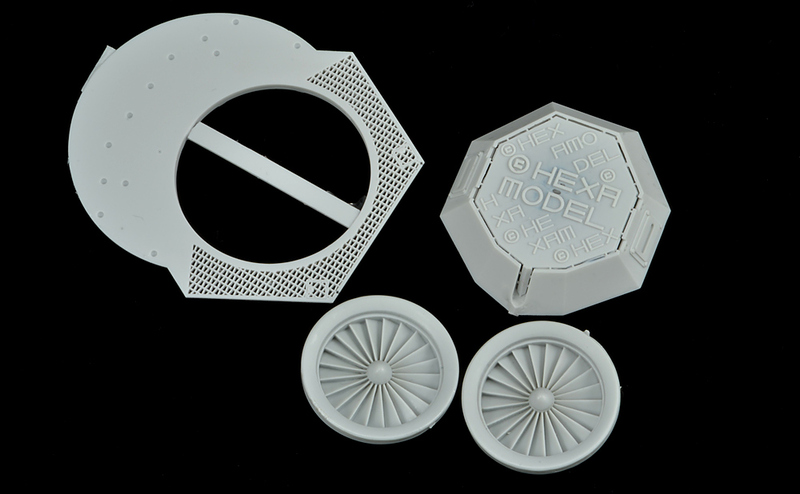 This is another very impressive release from Hexamodel. 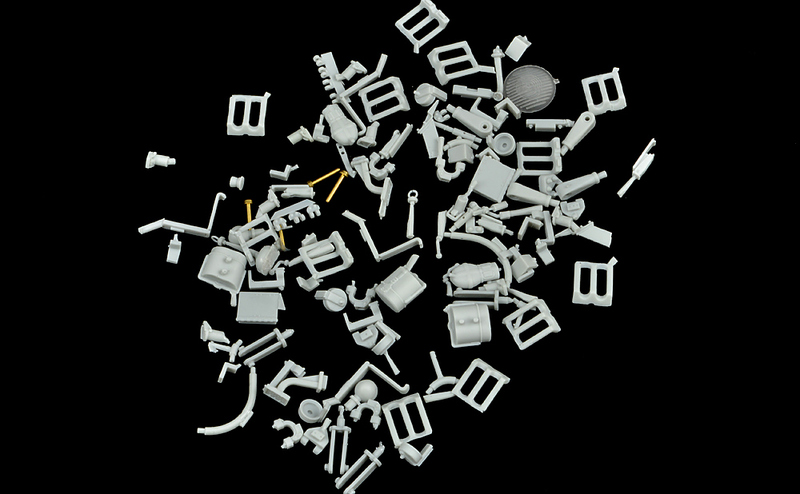 All parts shown are direct from the bags with no clean up. The castings stubs are small and easy to remove.